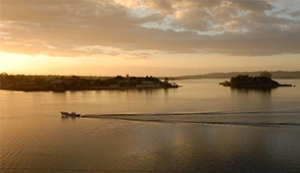 The Petén Basin is a geographical subregion of Mesoamerica, located in the northern portion of the modern-day nation of Guatemala, and essentially contained within the department of El Petén. During the Late Preclassic and Classic periods of pre-Columbian Mesoamerican chronology many major centers of the Maya civilization flourished, such as Tikal, and a distinctive Petén-style of Maya architecture and inscriptions arose. 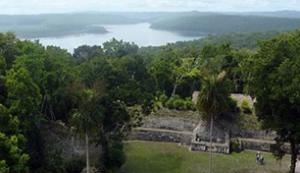 By the first half of the 1st millennium BC, the Petén and Mirador Basin of this region were already well-established with a number of monumental sites and cities of the Maya civilization. Significant Maya sites of this Preclassic era of Mesoamerican chronology include Nakbé, El Mirador, Naachtun, San Bartolo and Cival in the Mirador Basin. 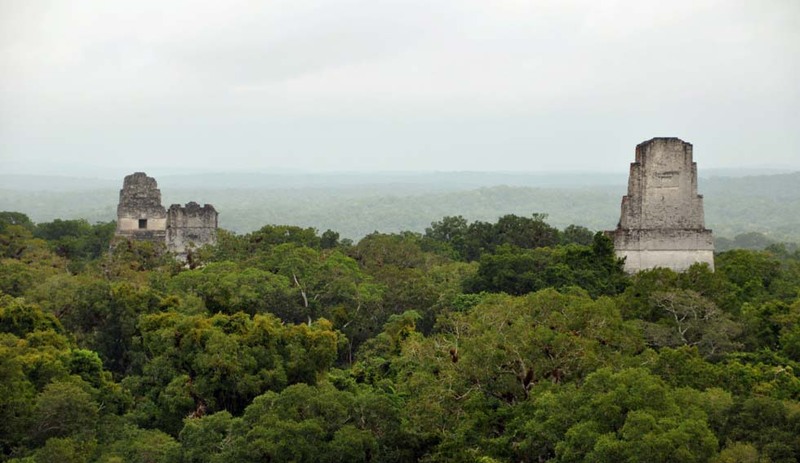 Later, Petén became the heartland of the Maya Classic Period (c. 200 – 900). 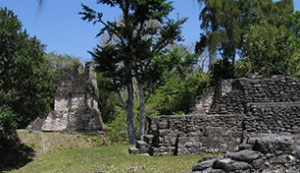 At its height around 750 it is estimated that Petén was home to several million people, being one of the most densely populated regions of the world at the time. Some areas are estimated to have had ca 2,000 people/km². Agriculture was very extensive, and there is some evidence suggesting that the land was depleted by unsustainable over-farming, resulting in a famine which was an important factor in the collapse of the Classic Maya states of this area. 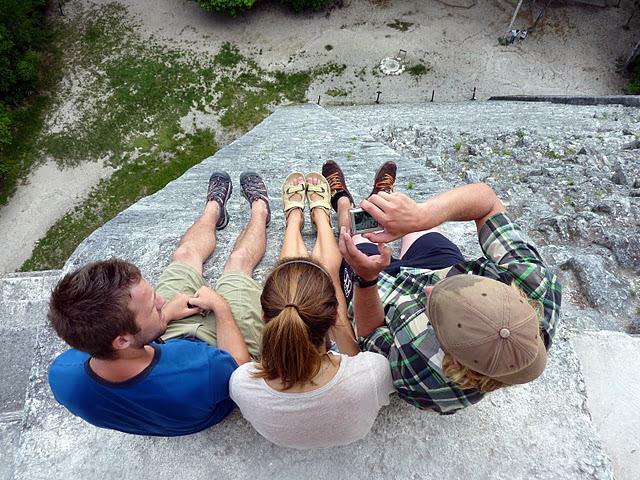 The population is estimated to have dropped by two-thirds between the mid 9th century and the mid 10th century. Archaeological sites such as Uaxactún, Tikal, Holmul, La Sufricaya, Machaquilá, Naranjo, Nakum, Piedras Negras, Altar de Sacrificios on the Usumacinta river, Waka’ formerly El Perú, on the San Pedro Mártir river, Ceibal, Aguateca, in the Petexbatún area, Cancuén, on La Pasión river, Topoxté and Yaxhá preserve important remnants of the Classic Maya in Petén. Located in the department of Petén, Tikal stands among all the archeological sites of Guatemala as the most famous of the ancient Mayan cities. A one hour drive away from the International Airport “Mundo Maya”, the visitor´s center welcomes tourist from all over the world and this is the place where all the walking tours begin. An Average visit last 4 hours and most of the visitors will begin visiting the Great Plaza where Temple I (The Great Jaguar) brings all the attention, built during the VIII century is without a doubt the most famous building of Guatemala. Across the Main Plaza and facing Temple I is Temple II that gives us a panoramic view from the top that overlooks the North Acropolis which was the necropolis of the kings of Tikal, and the Central Acropolis home of the elite that resembles a giant maze… It’s amazing! 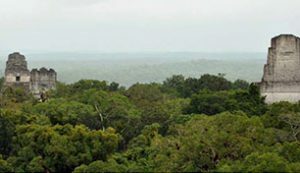 After exploring the two Acropolis, an ancient causeway leads the travelers to Temple III and IV, Temple IV is the tallest in Tikal with a spectacular view of the whole site and the jungle (a must to climb!!). 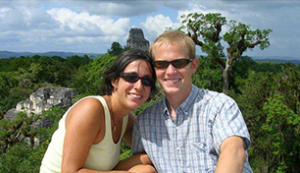 The ancient City ruins are framed by a thick, dense and exuberant jungle which is the home of many wild life so encounters with Howler Monkeys, Spider Monkey, Coatimundis, Ocelots, Margays, Agutis , Pacas, deers, birds, insects, snakes and others are fairly common. 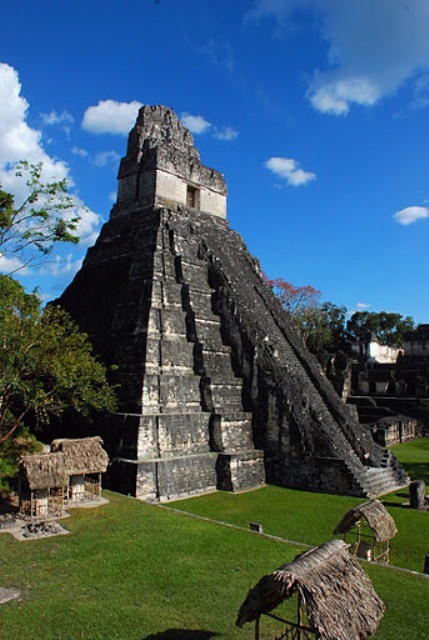 Once we had climbed down Temple IV a 10 minute walk will get us to the “Lost World Complex”, a large plaza with a monumental pyramid in the middle that is the ancient astronomical center of Tikal. 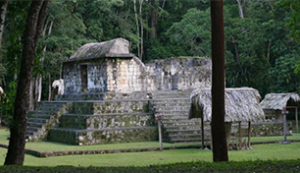 In the same Complex there is a unique triple ball game court and the Seven Temples Plaza currently under restoration. Then a visit to Temple V and any of the twin pyramids complexes will complete the visit. 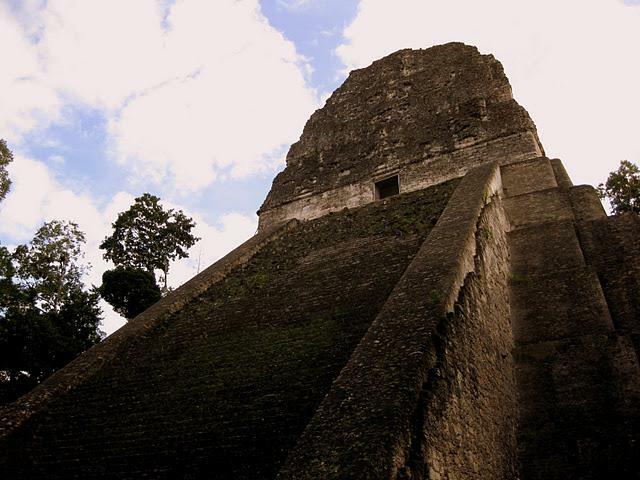 Tikal is so big that is not possible to see it all in a day’s visit. There is some resorts at the site and if you are spending a night at the site you can book to the sunrise tour which is held before sunrise at the top of temple IV (a mythical experience! ).